you will think so also. Our team of dentists enables us to provide just about any dental service you might need—all under one roof. We have the skills, experience, and commitment to offer everything from routine cleanings to cosmetic dentistry. If you are visiting our practice for the first time, please bring your ID, insurance card, and any x-rays you might have from your last dentist. Our team looks forward to getting to know you! When it comes to treating our patients, The Dental Care Center operates on the basic principles of treating everyone with kindness and integrity and making sure our patients are educated and comfortable about their care. We accept nearly all medical insurance providers, and we offer several different payment options as well as third-party financing. Welcome to The Dental Care Center! 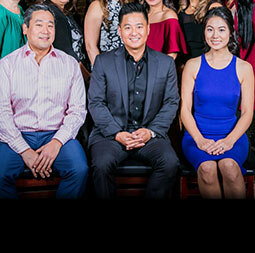 One of the first things new patients notice about the team of dental professionals at The Dental Care Center is our attention to what every patient needs and our commitment to offering the latest in dental care. Patients soon realize that at The Dental Care Center, we aim to provide comprehensive care to our patients in almost all areas of dentistry. 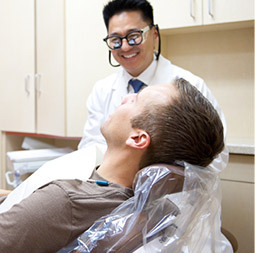 There is no need to be concerned about having to go see specialists for specialized dental care. 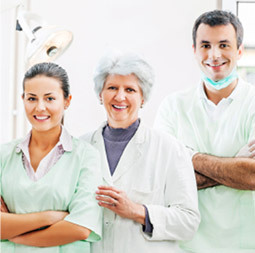 At The Dental Care Center, we can meet all your dental needs under one roof. We offer a wealth of services, including routine cleanings and dental exams and other general dentistry treatments, as well as cosmetic care such as bonding, teeth whitening, and porcelain veneers. We treat entire families, from small children who are just beginning to visit the dentist to adults who are considering cosmetic procedures or are interested in learning about implants and dentures. At The Dental Care Center, we stay on the leading edge of the latest in dental technology to make your visit as comfortable as possible. Our up-to-date technology includes an intra-oral camera, digital x-rays, and air abrasion, as well as the CEREC system for all-ceramic restorations in one visit. Everything we do is designed with our patients’ comfort and satisfaction in mind. From our inviting and relaxing office to how we greet each patient old and new, our main goal is to ensure that our patients find maintaining their good oral health to be easy, convenient, and comfortable. Fear of the unknown can be a real issue when it comes to dental treatment. This is why we do everything we can to make sure our patients understand fully any recommended treatment. We are more than happy to take the time to explain what options you might have, and we will never proceed with any treatment until you are completely comfortable. Good patient education is a part of dentistry we take very seriously. We know that many people have some anxiety about visiting the dentist, and we pride ourselves on our sensitivity to those fears. In fact, it is one of the reasons we believe so strongly in keeping up with the very latest in dental technology. Many of the latest breakthroughs in patient procedures offer pain-free, less invasive treatment, and we are thrilled to be able to offer this to our patients. Going to the dentist does not have to be unpleasant. 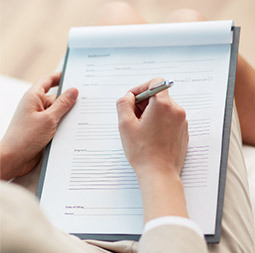 Paying for treatment is often another source of anxiety for our patients, and to this end we offer several different options for payment, including third-party financing. We also accept many insurance plans, and we will be happy to go over specific benefits for each patient. We Want to Be Your Family Dentist! We are looking forward to seeing you and your entire family, and providing you with the best of dental care. Always remember that the world looks brighter from behind a healthy smile! Call our Van Nuys, CA dental office today to make an appointment!